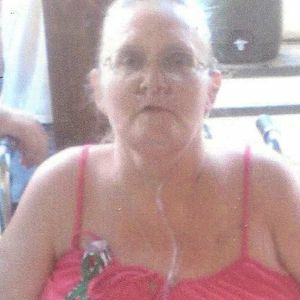 CENTRAL CITY – Linda Louise Allen, 61, of Central City, died Saturday, August 11, 2012 at her daughter's residence in Central City. She was born June 4, 1951 in Chicago, IL. And was a store clerk at the Daily Market. Survivors include her spouse, William "Bill" Dennel of Central City, daughters, Katherine Bell, Jennifer Allen & Christina Napoli all of Owensboro, Sharon Regalago of Illinois & Rose Edwards of Central City, sons, David Allen of Owensboro & Brent Dennel of South Carrollton, her mother, Elizabeth Strumpf of Chicago, brothers, Bobby Strumpf & Jimmy Strumpf both of Chicago & several grandchildren & great grandchildren. Funeral services will be held at 1:00 PM, Monday, August 13, 2012 at Tucker Funeral Home in Central City. Visitation will be after 12;00 Noon on Monday. The beautiful and interactive Eternal Tribute tells Linda 's life story the way it deserves to be told in words, pictures and video. My prayer are with everyone. I will Miss my very best friend.There will never be a day that I don't think of you and remember the good days in cicero. EVEN THE TIME YOU WENT TO THE ZOO WITH HUBBY INSTEAD OF HOSTIPAL FOR MY TO HAVE TIFFANY.You will ALWAYS be in my HEART. LOVE YOU MY BEST FRIEND LINDA . I'm am so sorry for your loss! I have so many memories of you all and your mom. She took care of me when I was sick and gave me flowers at 8th graduation. Not to mention all the time that I spent at your house. Your mom was like a 2nd mom to me when I was growing up! Linda, Thank you for being a great part of my childhood! I'm happy you are not suffering anymore! May you rest in peace and may God give your family the comfort that they need. linda we will miss you so much. you and gator never got to have that picnic with wine and cheese. you were very special. may your family always know how much you loved them. No more pain no more suffering. The good man upstairs gians another angel. May you look over us as we all await are arrival to yet be together again one day. I will never forget your laugh, and your great friendship! my husband loves the packers and you always enjoyed pickin on him about it!!!! Yall share the same birthday..so as we celebrate..i will also be celebratin for you as well!!!! I am so glad that your not in pain anymore..but so sadden that you left us so soon!!! I hope heaven is as beauitful as i dream! Rest in peace Linda...you will never be forgotten!!!! Love you ALWAYS!!!! Linda u were a part of my life for a long time u were like a mother to me ive known u my whole life and it was great we were neighbors for a long time i remember goin to ur house to be with the girls and hang out those were fun days i love u linda allen and ill mis u but ill never forget u ur an amazing woman so r.i.p. ur angel now looking down over all ur kids and husband bill now they know ull watch over them! LOVE U!